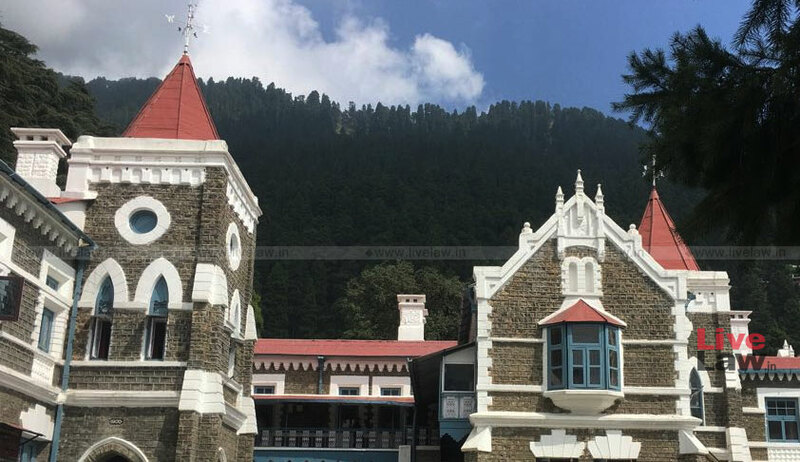 The Uttarakhand High Court on Wednesday declared the “entire animal kingdom including avian and aquatic” as legal entities with a distinct persona and corresponding rights, duties and liabilities of a living person. The Court was hearing a petition filed by one Mr. Narayan Dutt Bhatt seeking directions for restricting movement of horse carts/tongas from Nepal to India and vice versa through the Champawat District. He had essentially demanded that the horses be vaccinated and checked for infections before being allowed into the Indian territory from Nepal. The scope of the petition was, however, enlarged to encompass protection and welfare of all animals. It then went on to highlight the laws in place for welfare of animals, including the Prevention of Cruelty to Animals Act (PCA Act), and emphasised on the need to adhere to these laws, observing, “The principle of equality of all species found in Isha Upanishads is the culture and tradition of the country, particularly the States of Tamil Nadu and Maharashtra. The entire animal kingdom including avian and aquatic are declared as legal entities having a distinct persona with corresponding rights, duties and liabilities of a living person. All the citizens throughout the State of Uttarakhand are hereby declared persons in loco parentis as the human face for the welfare/protection of animals. The Nagar Panchayat, Banbasa is directed to regulate the plying of horse carts/tongas from Banbasa to Nepal by issuing licenses to the owners by charging reasonable fee within one month from today. The State Government is directed to ensure the medical examination of all the animals including horses entering from Nepal to India as well as horses moving from Indian border to Nepal to check infectious and contagious diseases by setting the veterinary check-posts on the border. The worthy Vice Chancellor of the G. B. Pant University of Agriculture and Technology is directed to constitute a Committee presided by the HOD, Veterinary Sciences and the two senior-most professors to undertake the research/study to find out whether the maximum weight prescribed under Rules 3 and 4 of the Prevention of Cruelty to Draught and Pack Animals Rules, 1965 is reasonable or not, within twelve weeks from today. The Committee shall submit the report to the Vice-Chancellor of the University. The Vice-Chancellor shall send the same to the Chief Secretary to the State of Uttarakhand for making suitable amendment in Rules 3 and 4 of the Rules, 1965 and till then, the State Government is directed to ensure that the draught animals do not carry load while driving vehicles more than prescribed as. The State Government is directed to ensure that no animal shall carry weight or load in excess of the weight prescribed. It is also made clear that where the route by which a vehicle is to be drawn involves an ascent for not less than one kilometer and the gradient is more than three meters in a distance of thirty metres, the weight shall be half of what is specified by this Court. It is also made clear by way of abundant precaution that the weight specified in the direction made hereinabove, shall be inclusively the weight of the vehicle. The State Government is directed to ensure that throughout the State of Uttarakhand, that no person in charge of any vehicle drawn by any animal allows more than four persons, excluding the driver and children below 6 years of age to ride the vehicle. The State Government is directed to ensure that in any area where the temperature exceeds 37°C (99°F) during the period between 11.00 am and 4.00 p.m. in summers and when the temperature is below 5°C between 5 a.m. to 7 a.m. and between 10 p.m. to 5 a.m. in winter season no person is permitted to keep or cause to be kept in harness any animal used for the purpose of drawing vehicles. The use of spike stick or bit, harness or yoke with spikes, knobs or projections or any other sharp tackle or equipment is banned throughout the State of Uttarakhand to avoid bruises, swelling, abrasions or severe pain to the animal. All the Municipal Bodies shall issue certificates of unladen weight of vehicles to avoid cruelty to animals. The owners of bullock carts, camel carts, horse carts, tonga are ordered to put fluorescent reflectors in the front and back of the carts. The animals shall also be covered with stripes of fluorescent reflectors for their identification at night. All the Municipal Bodies throughout the State of Uttarakhand are directed to provide shelter of suitable size to horses, bullocks and camels driving vehicles. The State Government is directed to ensure that all the cattle i.e. cow, bulls, buffalos and calf are transported in goods vehicle as per Rule 56 of the Transport of Animals Rules, 1978 by providing special type of tail board on padding around the sides. The ordinary goods vehicle shall be provided with anti-slipping material such as coir matting or wooden boards on the floor and the superstructure. No goods vehicle shall carry more than six cattle. Each goods vehicle shall be provided with one attendant. The goods vehicle shall not be loaded with any other merchandise. The cattle should preferably face the engine to prevent them from being frightened or injured. The same instructions shall be followed by the Railways authority as per Rules 47-55 of the Transport of Animals Rules, 1978. The horses, mules and donkeys shall also be transported as per Rules, 57 to 53 of the Transport of Animals Rules, 1978. The sheep and goats shall be transported as per Rules 64 to 75 of the Transport of Animals Rules, 1978. The poultry shall be transported as per Chapter VII and the Rules 76 to 84 of the Transport of Animals Rules, 1978. The animals should be separated by means of wooden ballies or MS pipes in such a way not more than 6 cattle can be transported in the vehicle. A ramp should be fixed to the vehicle on the rear side which can be folded upwards and it should have a width of 1.5 meters and inclination of 30 degrees when it is landed on the ground. The ramp should take the weight of the animals. A First-Aid Box filled with the medicines, as provided under the Rules shall be carried in the vehicle transporting the animals. The State Government is directed to appoint Veterinary Officers as per Section 3 of the Prevention and Control of Infectious and Contagious Diseases in Animals Act, 2009 and also to declare controlled areas and free areas to prevent, control or eradicate any scheduled disease by notification. The State Government is directed to enforce the provisions of the Prevention and Control of Infectious and Contagious Diseases in Animals Act, 2009 to prevent the animals from infectious and contagious diseases in letter and spirit. No animal including cows, buffaloes, calves, horses, ponies, mules, donkeys, foal, goats and sheep, kids and lambs, pigs, piglets shall be transported on foot beyond the period specified in Rule 12 of the Prevention of Cruelty to Animals (Transport of Animals on Foot) Rules, 2001. The animals shall be transported on foot only when the temperature is between 12°C to 30°C. The animals should be provided water every two hours and food in every four hours. The animals should not be made to walk more than 2 hours at a stretch. The State Government is directed to ensure that every animal to be transported should be healthy and in good condition. A certificate of veterinary doctor in respect of each animal to be transported is made compulsory as per Rule 4 of the Prevention of Cruelty to Animals (Transport of Animals on Foot) Rules, 2001. No new born animal of which the navel has not completely healed, diseased, blind, emaciated, lame, fatigued, or having given birth during the preceding seventy-two hours or likely to give birth during transport are ordered not to be transported on foot. There should be watering arrangements enroute during transport of such animals on foot. There should be sufficient feed and fodder arrangements during transportation of animals. The animals while transported shall not be tied by its nose, or legs or any other part of the body except by its neck. The animals, if at all, are to be tied during transportation shall be tied with rope covered with suitable cushioning. All the police officers throughout the State of Uttarakhand are directed to ensure the due implementation of directions D and E by taking the owner/incharge of the animal to the nearest weighing bridge to determine the weight of the load. The State Government is directed to ensure that no animals shall be transported on foot on hard cement, bitumen-coated or metalled roads, steep gradients or hilly and rocky terrain, irrespective of weather conditions (summers and winter), as per Rule 30 of the Rules of 2001. All the police officers are directed to enforce the provisions of Rule 14. The State Government is also directed to constitute societies for prevention of cruelty to animals in each district, if not already constituted. The State Government is directed to appoint infirmaries for the treatment and care of animals in respect of which offences have been committed. The cost of transporting the animal to an infirmary or pinjrapole, shall be paid by the owner of the animal. The Director Animal Husbandry to the State of Uttarakhand is directed to ensure proper treatment of stray cattle and animals, throughout the State of Uttarakhand by the duly qualified doctors. All the Veterinary doctors throughout the State of Uttarakhand are directed to treat the stray animals brought to them by the citizens, in case, it is not possible to bring the sick animal/cattle to the Veterinary doctor, he/she shall personally visit and attend the stray cattle/animal without delay. All the Municipal bodies, throughout the State of Uttarakhand are directed to make sufficient provisions for housing the stray cattle and to provide them food/fodder and water. Since the carts driven by animals have no mechanical devices, they should be given the “Right of Way”. All the Police Officers throughout the State of Uttarakhand are directed to ensure compliance of this direction to avoid inconvenience to the animals. In March, 2017, a bench headed by Justice Rajiv Sharma had also declared the rivers Ganga and Yamuna, all their tributaries, streams, every natural water flowing with flow continuously or intermittently of these rivers, as juristic/legal persons/living entities having the status of a legal person with all corresponding rights, duties and liabilities of a living person. The Supreme Court had, however, stayed the judgment in July, 2017.